The Comar Comet 450 is a great combination of a racing sailboat and a classic cruising sailboat suitable for long cruises with your family or friends. The high performance hull in will provide great speed when sailing and a chance to compete in armature and long endurance races. 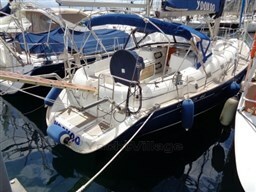 The boat sports great and modern look combined whit great seakeeping required by race type sailboats. The boat has a race cockpit whit single large steering wheel and an open back deck. The main part of the interior is a large saloon whit kitchen, dining table whit sofa and seating, and a chart table which can also be used as a small dining table. 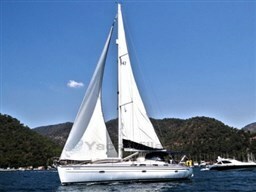 The boat has three cabins both with double beds and an additional berth in the aft cabin. The boat has two bathrooms whit sink, shower and head. 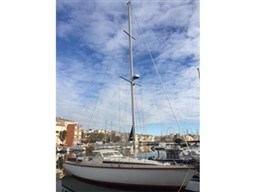 All-around great boat for those seeking a bit more from their family sailboat cruiser. The boat is well equipped for long sailing. The boat is registered under the Croatian flag. NO TAX PAID. Dear Sirs, I have seen on YachtVillage your offer about Comar / Sipla Comar Comet 450 - 2008 (code: 147020). I am interested in the offer and would like you to contact me. Thank you. If you would like to find out more about this boat and any other boats of this type and range, Digibusiness Srl,the Company that manages YachtVillage, and Almissani, the Company that exhibits the Boat, must necessarily acquire some simple details about you (name, surname, email address and, if needed, your telephone number). These details will be processed according to the purposes and means of the processing indicated in the privacy statement under the PRIVACY Section of this website, referred to herein.